The Huawei Honor 7 is powered by the home-brewed HiSilicon Kirin 935 chipset, identical to the one ticking inside the Huawei P8. It is equipped with a total of eight Cortex-A53 processors, four clocked at 2.2 GHz and another four at 1.5 GHz. On paper, this looks like quite an adequate setup by current standards. But, the real problem with the custom Kirin 935 is that it features a far-less powerful GPU than those by the competitors. The Mali-T628 MP4 is hardly a powerhouse and can potentially hurt the graphics performance of the phone significantly. For some reason AnTuTu, GeekBench 3 and BaseMark OSII 2.0 were incompatible with the Honor 7, but we'll update the scores as soon as the compatibility is fixed. We kick things off with the all-round Basemark OS II test. Here, we get a first glimpse of the Honor 7 falling short in overall scores. The result is most-likely due to the already mentioned poor GPU, which drags down the otherwise excellent number-crunching power of the eight core processor setup. The last-year Snapdragon 801 does noticeably better than the newest Kirin 935 chip. Let's check the CPU scores breakdown. While the single-core performance turned out uninspiring, all eight cores combined are a real threat to the competition. The same, however, definitely can't be said about graphics performance. The chipset's performance is really modest in this department. But we already knew this from the Honor 6 predecessor, which employs the same GPU. The 1080p offscreen scores are quite poor compared to the latest Adreno units and on par with the Huawei's recent phones. The onscreen scores are steady and look a tad better, very close to Adreno 330 GPU inside the Snapdragon 801 lineup. The BaseMark X GPU benchmark also puts the Huawei Honor 7 a hair better than its Kirin siblings, but it's still at the bottom of the chart with those. Throughout those previous tests we though some of the lower scores might be due to poor OS optimization. Huawei has cut off a lot of the original Android Lollipop and has replaced it with proprietary apps and services. The stock browser performance confirms our suspicions, so you might want to use Chrome or other alternative. Just like with the P8, the Honor 7 benchmark performance is a mixed bag, probably suffering from the choice of custom hardware. This, however, is only part of the story. Kirin chipsets have historically been bundled with rather meager GPU's and this one makes no exception. You can expect stellar octa-core processor performance, and the 3GB RAM will surely make multi-tasking look like a hassle-free job. But the disappointing graphic performance will reflect on high-quality video playback and a lot of graphics-intensive 3D games. 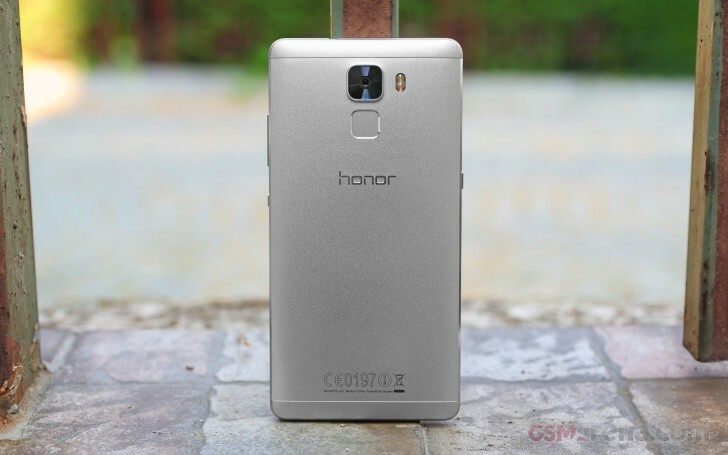 If you are a gamer, the Honor 7 should not be among your top considerations for sure.